RSD 2019 release. Mannequin Records start a series of re-presses dedicated to the legendary Nocturnal Emissions, one of the best kept secrets of the industrial genre since the 1970s. Led by Nigel Ayers and Caroline K, the band was one of the first to use tape cutting, avant-garde art, and underground video works to create a stage experience that was being cultivated by like-minded artists like Throbbing Gristle, SPK, and Cabaret Voltaire. 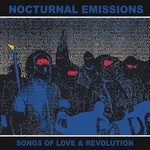 Originally self-released in 1985 for Sterile Records, Songs of Love and Revolution is the Nocturnal Emission's most successful album ever. The release marked the end of a period of more "conventional" songwriting and instrument use for Nocturnal Emissions. The first couple of albums were brooding, bleak affairs that called to mind a more sedate version of SPK. Then came a few albums that were firmly song-dominated. SOLAR was the last of the bunch, and was the most explicitly "message"-oriented and political. Songs of Love and Revolution was a big step forward for the band, having a full-color cover and turning the NE sound further towards electronic pop music. Classics such as "No Sacrifice" and "Never Give Up" have made this an essential album for every fan of electronic music. As Nigel himself reminds, "they were buying lots of equipment at the time and seemed to have naturally acquired some skill over the years so they thought, 'Let's make some pop music.' He continues: "The Miners' Strike was on and there were riots down our street in Brixton. I was convinced there was going to be a revolution. But it would probably have been quite unpleasant. All these old punks and hippies preaching revolution, I don't think we were really prepared to live with the consequences. If we actually had a revolution in this country, it would be like Iraq or something, or Syria. But we were having horrible times with Thatcher. 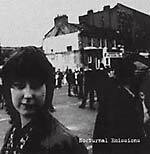 All we could do in that sort of milieu was imagine what the alternative would be like." 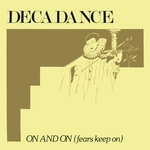 Mannequin Records present a new press of Decadance's "On And On (Fears Keep On)", one of the most iconic underground Italo-wave tracks ever. Produced by Franco Rago and Gigi Farina, the masterminds behind cult Italo disco projects 'Lectric Workers, Wanexa, Expansives, Atelier Folie, Peter Richard, and many more, the single was originally released in 1983 by Proto Records. Permeated by a dark and eerie synths, a perfectly programmed Roland TR-808, and an outstanding analog production, "On And On (Fears Keep On)" belongs to dark Italo disco or Italo wave. Remastered by Rude 66, 2018, Berlin. Mannequin Records presents the first of a new series of compilations under the Death Of The Machines moniker, highlighting the dance floor/experimental oriented side of the label, and dedicated to new artists. Connecting music producers from all over the world, this new compilation will unearth names who are already building strong grounds for the future. Features: Exterminador, Craow, R Gamble, and Plastic Ivy. Mannequin Records presents Le Syndicat Électronique a self-titled double LP retrospective compilation of the French electro-wave pioneer. Le Syndicat Électronique is the historical electro-wave project of Alaxis Andreas G., founder of the seminal Invasion Planète Recordings. Invasion Planète was the first French minimal electro-wave/experimental label founded in late 1998 by the insurance proceeds of a car crash. Heavily influenced by the work of masters like Kraftwerk, John Carpenter, and Front 242, Alaxis Andreas G. is responsible for many others' dark electronic/industrial/neo-folk projects to name a few: A//, Bruta Non Calculant, Swesor Brother, La Séduction Des Innocents, It & My Computer, and Eva VIII. After many years of supporting his artistic vision and direction, we decided it was time to collaborate together in this killer compilation, which includes five historic tracks never pressed on vinyl, while three more are being released for the first time ever. Mannequin Records concludes its trilogy of reissues from the avant-garde Italian-born producer Doris Norton with Artificial Intelligence (1985). Apple's first music "endorsement" (Norton was also later a consultant for IBM) and early Roland affiliate, Doris Norton is one of the most important women pioneer in the use of synths and in the early electro/computer music. While the beat-oriented style of Norton's music aligns her with such global fellow-travelers as Yellow Magic Orchestra and Kraftwerk, her championing of the personal computer as a tool for self-sufficient musical creativity also connects her to musicians such as Pietro Grossi, Laurie Spiegel, and the League of Automatic Music Composers. Norton's predilection for the bright, glossy timbres of early digital instruments also recalls Hubert Bognermayr and Harald Zuschrader's bizarre Erdenklang (1982). 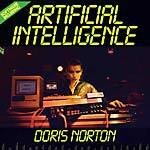 A year on from Personal Computer (MNQ 120LP, 2018), Norton released Artificial Intelligence in 1985, setting a step up in her deep electronic music research and innovation. "The whole album was composed and programmed only with the alphanumerical keyboard of the computer. The total of the notes and coded events takes to the number 124,648: of these 123,827 were coded with 'step time' procedure and the rest with real-time procedure. Having reduced the keyboard, Norton used only a hexaphonic JX.8P with memory processed by her and interfaced to the computer. No drums were used, neither electronic nor much less acoustic. All the rhythms were obtained by A.D.A. conversions and processing of wave ranges with the use of expanders with a very special handling of envelopes, frequency, resonance, and noise. Doris Norton fed the computer the parameters of vowels and consonants of her own voice, like A, O, U, E, D, and N, through an A.D.A conversion card. By processing these values and assembling them in phonemes in hundreds of different combination, at various compressed resolutions she was able to make the computer sing a complete song in a totally human way (with the voice of Doris). Many other synth sounds resulting from A.D.A. conversions are present in Artificial Intelligence, amongst these: pipe organ, plate, electric discharge, iron beat, birds, dog, harp, and woods, all sampled and handled by the computer. Artificial Intelligence is a perfect example of how human intelligence can bend the coded 'artificial intelligence' to its own will." --ComputerMusik, 1985. 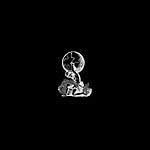 George Thompson, aka Black Merlin, is joining the family of Mannequin Records with this insane EP for the Death of the Machines, the series dedicated to new artists ready to smash the dancefloor. Three-tracks strongly permeated by drones n' noises, EBM basslines, and a 4/4 straight techno-ish kick drum. Raw Ambassador steps in again for Mannequin Records' series Death Of The Machines with a veritable feast of '80s industrial and primitive EBM bangers. Four tracks of mutant industrial music designed for spreading disease and bringing disorder in every dance floor around the globe. After a year which saw them work with Return To Disorder, Contort Yourself, and New York Haunted, the Hamburg-based duo Fallbeil debuts on Mannequin. Tune in the incredible electro/acid razor "The Healer", also available on the B side with a distorted and industrial influenced version by Innsyter aka Fernando Seixlack, already smashing it for L.A.'s Club Resource. The 707-electro-driven extra track "Voice of Thunder" completes the pack. Just killer. Giant Swan debut on Mannequin Records through the Death Of The Machines series, the dancefloor/experimental oriented side of the label, dedicated to new artists. Robin Stewart and Harry Wright team up to create an acerbic marriage of energized, aggressive dance music, quaking bass and hypnotic electronic noise. Across a table of machines and pedals, incorporating abused guitar and liberal vocal manipulation, Giant Swan create a cross-breed of hypnotic bass, industrial percussion, and disorientating energy delivered with telepathic intricacy. 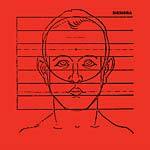 Mannequin Records, Emotional Rescue, and Blowpipe come together to release the music of Dutch post-punk, industrial outsiders Nexda with a collection of music drawn from all their single and EP vinyl releases. Taken from two 12" EPs, a split 7", and a flexi 7", all released in 1982, the music within Word & Numbers captures striking compositions, part of, but in some way removed from their contemporary post-punk bands coming out of the Dutch "Ultra" scene of the time. Developing out of a series of concerts in Amsterdam, Ultra expanded to Eindhoven, Nijmegen, and Haarlem, with artists and musicians creating their own work spaces and studios. Driven by the DIY mentality of the punk movement, this uniquely Dutch take on the post-punk ethos embraced avant-garde thinking and experimentation that disseminated in ideas and from that, sound. Coming from Haarlem, Nexda -- consisting of Ivo Schalkx, Karin Hueting, Martienden Nijs -- played music on handmade drums, metal, organ, saxophone, and voice. 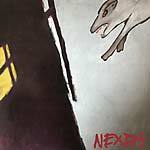 Releasing a series of cassettes on their and Wim Dekker's (Smalts, Minny Pops) Studio 12 label, the latter's link with Wally Van Middendorp's Plurex label, resulted in the release of Nexda's two EPs -- 246, 121 and 657 (1982) and Second (1982) -0 with artwork of Ivo Schalkx, are included here, both in their entirety. Capturing the band's heavy percussive backdrop, raw, dub baselines contrast with questioning, mainly spoken-word lyrical poetics, saxophone underplay and occasional Pablo-style melodica. The avant nature of the music is apparent and enticing, where experimentalism and artistic expression was sought over commercial success and technique and song form were less important than the process of exploring ideas. The none-descriptive titles match song structures that jettison the traditional verse-chorus-verse; weaving across the eight songs so that they can be heard as one, as much asshort bursts of individual statements. Graphic design rework by Alessandro Adriani. Mastered by Rude 66. RSD 2018 release. Reissue; 35th anniversary edition. Mannequin Records present a reissue of Doris Norton's Norton Computer For Peace, or Nortoncomputerforpeace, originally released on Durium Records in 1983. This is a part of a trilogy of reissues from the avant-garde Italian-born producer, released alongside Personal Computer (MNQ 120LP, 1984) and Artificial Intelligence (1985). 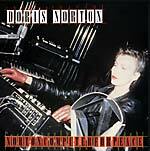 Apple's first music "endorsement" and Roland affiliate, Doris Norton is one of the most important women pioneer in the use of synths and in the early electro/computer music. Norton is the wife of Antonio Bartoccetti, progressive rock guitarist, and mother of the musician and techno producer Rexanthony. As a teenager, she was drawn to medieval, Renaissance, and Baroque music, not to mention quantum physics, differential equations, organic chemistry, the experimentalism of John Cage, and animated movie soundtracks. Her love for modules and circuits found expression through the waves of an old harmonium, the frequencies of a MiniMoog, a Roland System 100M, a Roland System 700, and the ARP 2500/2600. In 1980, Norton began her solo career by recording at Fontana Studio 7, the Milan studio of the composer and musician Tito Fontana, resulting in the electronic opera Under Ground. Norton became more prolific, continuing her adventures in experimental electronics and computer music with Parapsycho (1981), Raptus (1981), Nortoncomputerforpeace (1983), Personal Computer (1984) -- whose album cover prominently features Apple's colored logo -- and Artificial Intelligence (1985). 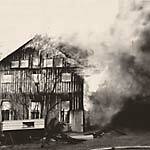 Third studio album, Nortoncomputerforpeace involved Doris Norton, Antonius Rex, and Rudy Luksch (hardware engineer). "Don't Shoot At Animals" was used as original soundtrack for the RAI TV program Rumore Di Fondo directed by Umberto Marino. The modern synth wave scene would be significantly poorer without the keen ear and tireless efforts of Mannequin Records, run by Alessandro Adriani. Geographically situated within the nerve centers of Rome and Berlin, yet with a musical spirit that easily transcends these boundary lines, Mannequin Records' back catalog has been an important component in electronics-based independent music in the 21st century. Recent accolades and accomplishments -- being named Resident Advisor's "Label Of The Month" in May of 2017, starting the Death Of The Machines 12" series, and being given the "green light" for bi-monthly parties at the Säule room in Berghain -- have been earned through Mannequin Records' unflagging commitment to sonic diversity and Adriani's own realization that the anxious and sharp-edged sounds associated with, say, the Cold War of the 1980s can convey a completely different message today. Mannequin Records continues to go on exploratory missions to find the best and most relevant aspects of genres like acid, industrial, EBM, post-punk, cold wave, and still more. 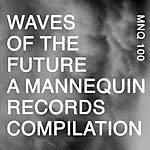 Mannequin Records' 100th release, Waves Of The Future, is a double-LP compilation which is not a conventional retrospective collection. 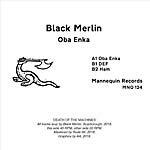 None of the artists appearing on this collection have put out their own releases on Mannequin Records yet, despite acting as Mannequin's unofficial ambassadors (via DJ sets and other means). 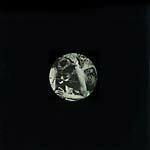 The set includes other scene leaders and label owners including Beau Wanzer, Willie Burns, Silent Servant, and Ron Morelli. Waves Of The Future projects a sense of aesthetic resilience and continuity; showcasing just how well the current artists allied with Mannequin Records employ and re-interpret the sonic lexicon of the label's reissues of "classic'" acts. Each track here pivots around a couple of key sound elements that seem to set the stage for the next track to come: see the sputtering/chopped ghost voices on Morelli's "Charges Won't Stick", which easily informs the slicing drone and authoritarian beat of Shawn O' Sullivan's "Ill Fit", which then lays down the emotional foundation for the sequencer-powered "With You" from An-I and Adriani or the glassy landscape of Illum Sphere's "Exhaustion". Elsewhere, the wired mischief of Not Waving intersects easily with the spherical electro-funk and coded commands of Beau Wanzer. When all the disparate parts of Waves Of The Future are soldered together, it perfectly illustrates Mannequin Records' non-linear philosophy and Adriani's suggestion that listeners engage with the music rather than try to analyze or dissect it. 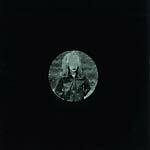 Mannequin Records present a reissue of Siekiera's Nowa Aleksandria, originally released in 1986. A classic record from the legendary '80s Polish post punk band. Originally released in 1986, Nowa Aleksandria caught brilliantly the cold, sultry atmosphere of the dark times of last years of communism in Poland. Influenced by British post punk heroes like Joy Division and Killing Joke, the album represents one of the most important records in the history of Polish rock. Graphic layout by Alessandro Adriani; Re-arranged from the original design cover by Alek Januszewski. Mastered by Damian Lipiński from the original analog master tapes. Edition of 500. Conceived along the space of a few years and part of a big collection of unfinished experiments stored on cassette tapes, this eight track selection represents Fred Ventura's late '80s and early '90s infatuation with Chicago house, Detroit techno, early Warp records, and even a secret passion for EBM. Using a basic set up made of Roland Juno 106, Roland JX-8P, Oberheim DX, Roland TR909, and an Akai sampler, these tracks were never officially mixed and never meant to be released, until now. Minimal and hypnotic, dry and direct, both sides of the record show an instinctive approach to rhythms and basslines, typical of those days where computer didn't have a predominant role in the creative process. One of the Italian electronic music's best-kept secrets. Graphic design by Alessandro Adriani. 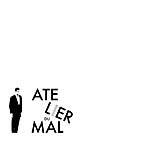 Mastering by Alden Tyrell and Enrico Colombo. Solid grey vinyl; Edition of 400. 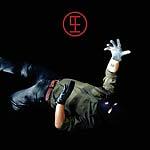 Berlin-based, Japanese industrial synth duo Group A's debut on Mannequin Records. Tommi Tokyo and Sayaka Botanic released two studio albums and one live album in Tokyo before moving to Berlin in 2016. With their mixture of dark minimal synth, avant-noise, striking visuals, and performance art, the duo carries the very breath of early industrial pioneers. "T.O.P." and "Ketabali" represents their personal reaction against the current economy -- an up-yours to capitalism, news, and politics. "Alibi" was inspired by an autobiography of Hi-Red Centre (Japanese avant-grade group in the '60-70s) written by one of the members, Genpei Akasegawa. Sam de la Rosa, best known under the alias Samuel Kklovenhoof of the band Led Er Est and with Karen Sharkey of The Coombe, is back on Mannequin Records for a stunning four-track electro-wave-experimental release. 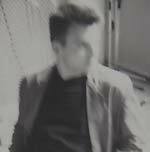 Texas born, but connected to New York's cold wave and disco scene from mid-2000, and the Wierd Records family, Sam's music is a clever mix of post punk, electronic hybrids, experimental pop, and catchy melodies. 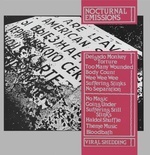 Additional mix by Michael Stein from S U R V I V E.
Led by Nigel Ayers, Nocturnal Emissions was one of the first bands to use tape cutting, avant-garde art, and underground video works to create a stage experience that was cultivated by like-minded artists like Throbbing Gristle and Cabaret Voltaire. The band moved on to using samplers and electronic noise in their early '80s work, creating a twisted funk sound that would go on to influence everyone from Foetus to Negativland. They still utilized their former tricks, upping the ante with extremist performance art and more professional video displays. The group avoided signing to a major label, instead focusing on releasing their own music more effectively. They followed this path into the '90s when they started www.earthlydelights.co.uk, an incredibly detailed website that promotes their various ideologies -- they are strongly against the British monarchy and believe that citizens should have unlimited access to space travel -- and constant release schedule. The band has released countless tapes and CDs of their material, and continues to unleash their noise through their website. 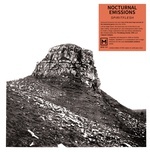 Nocturnal Emissions is a compilation of classic tracks from the early to mid '80s. 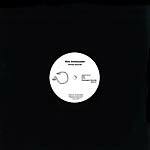 Track selection by Alessandro Adriani. Graphic artwork by Simon Crab. Audio mastering by Rude 66. Mannequin Records present an LP compilation of Michael Antener's (Swamp Terrorist) early '80s minimal synth/industrial projects Nacht'Raum (with Michael Stämpfli) and his solo project Bande Berne Crematoire. Heavily influenced by the works of SPK and Nocturnal Emissions, Michael Antener made his first recordings in the basement of his parents' house in a small village nearby Bern, Utzensdorf. He started BBC in 1980, a hybrid of Neue Deutsch Welle and noise/experimental, making a household name in the international home recording scene of the time and participating to many tape compilations. 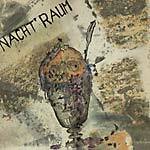 Teaming up with Michael Stämpfli as Nacht'Raum, he self-released the untitled mini-LP in 1983. Coming out from the same town of Grauzone, the duo moved into the darkest minimal electronic sounds, choosing German as main language for the lyrics and a Roland TR-808 as main drum machine, bringing the sound to a proto-electro dimension. Nacth'Raum is a real gem in '80s Swiss underground electronic music, together with Mittageisen, Grauzone, LiLiPut, and The Vyllies. Michael, by the way, later teamed up with Ane Hebeisen. They went by the name of Swamp Terrorists, releasing seven albums and touring throughout the world until the end of the '90s. At the end of the '90s, he sold all of his instruments and became an independent graphic artist. Mastered by Rude 666. Includes two inserts; Edition of 500. Montréal synth pop band Police Des Moeurs are one of the finest and rawest bands in the minimal synth/wave and cold wave scene. Dédales, their third full-length album, keeps the pure energy of their previous efforts while leaving greater room for atmospheric and textural considerations. Dédales leads you into the passage zone between civilization and wilderness, a mysterious place where truth, lies, light, and darkness collide. 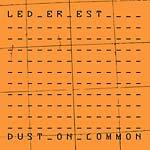 For fans of New Order, Martin Dupont, Rational Youth, Xeno & Oaklander. Mastering by Rude 66; Graphic design by Alessandro Adriani. Edition of 500.